Spotify is absolutely phenomenal. It’s one of the largest online streaming services in the world and it certainly deserves the reputation it has built over the years. And despite the bits of controversy that crop up at times Why Adele Is Wrong to Stop You Streaming Her New Album Why Adele Is Wrong to Stop You Streaming Her New Album Adele is refusing to let services such as Spotify and Apple Music stream her new album 25. Which is a boneheaded decision that's bad for her, her fans, and her record label. Read More , it’s still great — I use it daily. What’s nice about Spotify is that it’s 100% free if you want it to be. You actually get a lot of useful features Music Streaming With Spotify: What You Get For Free Music Streaming With Spotify: What You Get For Free The long awaited streaming music service, Spotify landed in the U.S. last week. Unlike other streaming services, however, Spotify offers an ad-supported free option, which makes millions of albums and songs available to you through... Read More even if you never pay a cent. However, there are a few features that are hidden behind Spotify Premium that you may like. Fortunately, Spotify has a limited-time offer that you can use to get a taste of Premium’s features [No Longer Available]. This offer is only for residents of the U.S. and Canada. Apologies to those who live elsewhere! If you sign up for Spotify Premium between now and May 15th, you’ll get 3 months of it for free! Once the 3 months are up, you’ll be charged $9.99 per month to continue the Premium subscription, so be sure to cancel it before the promotion runs out. This will only work on Spotify accounts that have never had Premium before. In other words, new users only! However, if you’ve tried the 7-day Premium trial in the past, you are still eligible for this promotion. What do you get with Premium? Download music for offline playback. No more shuffle-only playback on mobile devices. Access to audio at higher bitrates (better quality). 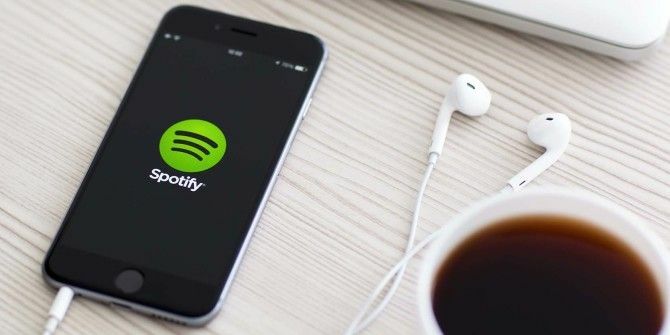 Once you’ve redeemed the offer, check out our complete guide to Spotify Spotify Music Streaming: The Unofficial Guide Spotify Music Streaming: The Unofficial Guide Spotify is the biggest music streaming service around. If you're not sure how to use it, this guide will walk you through the service, as well as offer some crucial top tips. Read More to get started on the right foot. Are you going to take advantage of this? Do you use Spotify or do you prefer another music service? Let us know your thoughts in the comments below! Explore more about: Freebies, Spotify. Clementine does not currently support aiff.